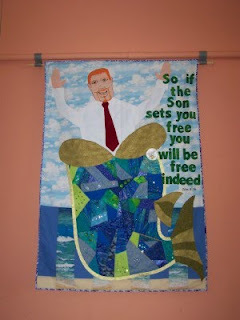 These two banners that I made for the church I’m part of both started life as group challenges at Seven Sisters Quilt Group. 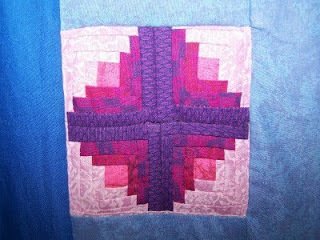 For the first one everyone made a couple of little blocks which I placed around the central panel. 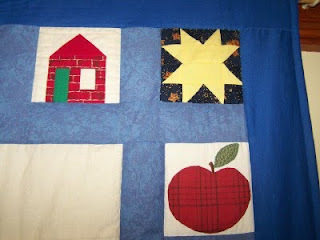 Here is some detail from some of the small blocks. Look at Moses in his basket amongst the reeds. 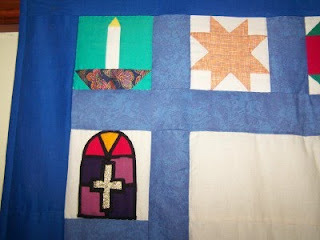 Candle, star and stained glass window. 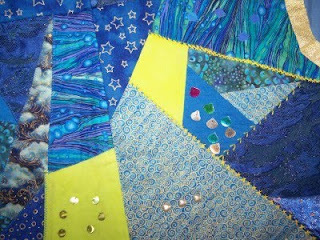 This second banner was only finished recently. 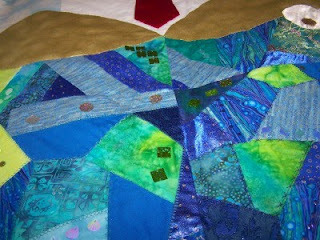 The group members all made part of the fish who swallowed Jonah in crazy patchwork. As you can see Jonah is really happy to get out of that fish. My sister drew his face and I transferred the drawing on to fabric using a light box. 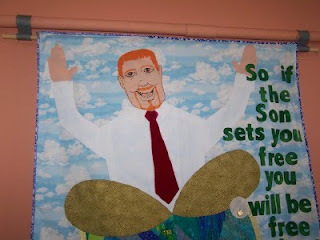 He has red hair as I’ve always loved red hair and my youngest son is a redhead. You can see some of the detail on the fish here. There is a lot of symbolism in the banner. 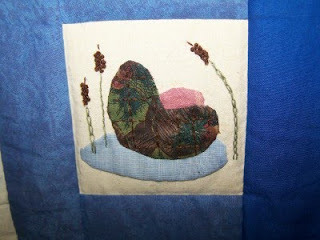 I would like to make some more banners, if I ever get some spare time. 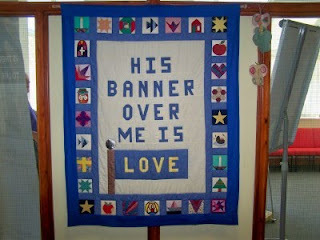 Lovely Melanie, HE brought me into HIS banqueting house and HIS banner over me is love. 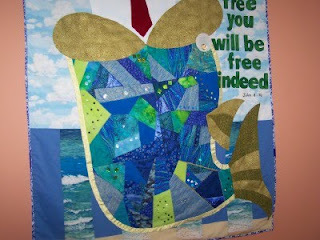 What a feast….Triumphant Jonah free at last to quote dear Martyn Luther King.